Germany-based dialysis provider Fresenius announced today that it plans to buy home dialysis devicemaker NxStage for $2 billion, enabling the company to build out its vertically integrated dialysis business and capture market share in the growing home dialysis segment. Fresenius aims to acquire all outstanding shares of NxStage for $30 per common share, valued at approximately $2 billion. The merger, which still needs approval from NxStage stockholders and must go through regulatory review, is expected to close in 2018. "The acquisition supports our 2020 strategic initiative of driving growth in the core business with innovation, better clinical outcomes through care coordination and improving the patient experience," Rice Powell, Fresenius' chairman and CEO, said in a written statement. Fresenius is the world's largest provider of dialysis products and services with a network of 3,690 dialysis clinics worldwide. Last week, it reported an 11% increase in second-quarter revenue, driven by its dialysis segment in North America. NxStage develops, produces and markets home dialysis equipment, including its System One home dialysis machine, in 21 dialysis clinics across 13 states. It narrowed its net loss to $4.8 million in 2016, down from $15.3 million the year prior. It reported a 9% increase in revenue to $366 million in 2016, fueled by System One sales. Home dialysis use has been steadily increasing since 2004. More than 80% of patients would opt to get dialysis at home, research published in the American Journal of Kidney Diseases shows. In 2012, 6.6% of patients who used Fresenius products received home dialysis; that increased to 10.2% in 2016 and is expected to reach more than 15% by 2022, the company said. 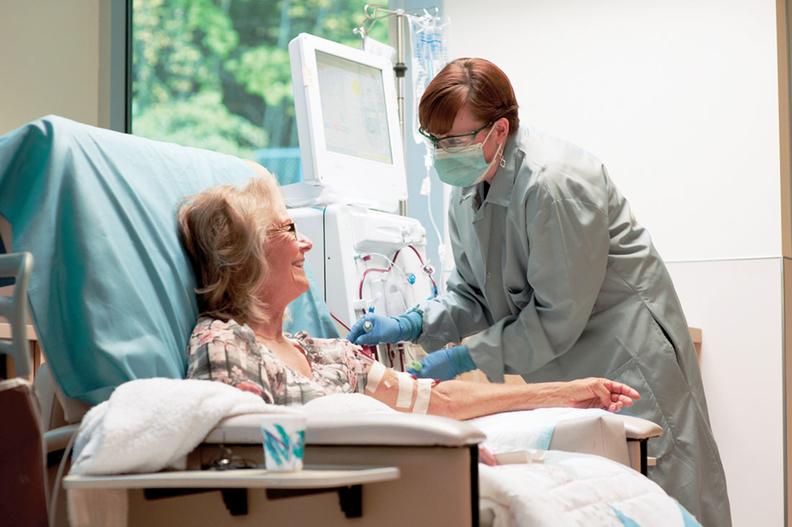 Patients receiving home dialysis are more engaged and satisfied and, ultimately, healthier, Fresenius executives said during a conference call Monday. The acquisition aligns with new payment models that favor coordinated care, analysts said on the call. The transaction is the latest in a wave of deals across the medical-device industry in which companies increasingly look to bolster product suites and gain more leverage to resist pricing pressure from hospitals. The all-cash deal would be financed with cash and debt and could be accretive to net income and earnings per share within three years of closing, Fresenius said. Cost synergies would net $80 million to $100 million over three to five years. Integration would cost about $150 million in the first three years.